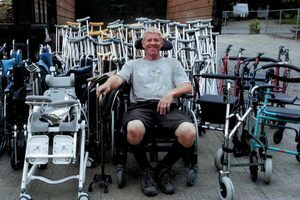 Twenty years ago, a shipping container full of donated medical supplies was headed to Morocco thanks to Michael Spiger, MD. Dr. Spiger grew up in Morocco and loved his memories of living there. He wanted to be a doctor in the country, but regulations didn’t allow non- residents to practice medicine in Morocco. 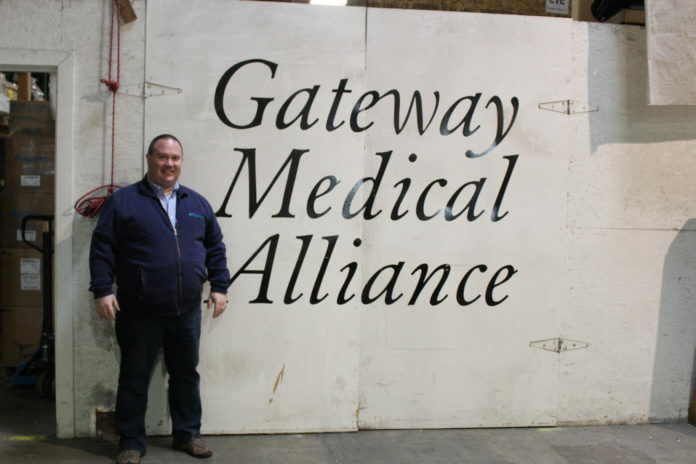 So he sent a shipping container full of medical supplies there in 1997 and wanting to do more, launched Gateway Medical Alliance (GMA) in 2002. Their motto is: Gateway Medical Alliance International through strategic partnerships, serves as a catalyst to improve the lives of the poor and disadvantaged by sharing health care resources worldwide. Since then, GMA has shipped 94 shipping containers to 12 different countries. 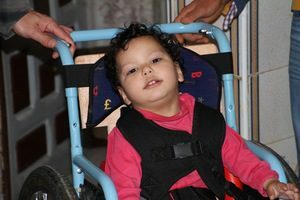 They receive unused medical surplus from medical facilities and donations from local families who no longer need their medical equipment. Volunteers assess the quality of the donations, inventory, sort and pack them into boxes. 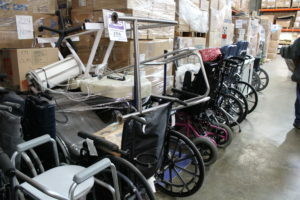 The boxes plus donated hospital equipment, physical therapy and mobility related equipment fill the containers and are shipped world wide to countries in need. They ship out containers from between one a month to one every two weeks depending on the donations received. This past month’s container went to Liberia. So far this year, GMA has sent out eleven 40 foot containers, most of the things inside would’ve ended up in a landfill. Just this month a hospital called to donate 20 perfectly good exam beds because they were replacing them. GMA is located inside Kent’s Crate Tech warehouse, who donate the space and often help them box up larger items for shipping. The non-profit has been here in Kent for about eight years now. Working with partners “on the ground” in other countries, they can decide what is needed where, what supplies they have on hand, and what the regulations are in different countries. They choose where to ship their next container based on these factors. One example is the three University hospitals they have partnered with in Morocco. Besides donations, GMA is training locals to do things like physical therapy in their countries. Greg Plett, GMA’s Executive Director, said that their biggest needs are volunteers and donations. Last year they logged 6000 hours of volunteer time. As for donations, it costs $6000 to send a container, all of which they raise on top of the equipment inside each container. They would like to have the resources to hire a development person to do fund raisers eventually. The more money they raise, the more help they can send. Plett’s favorite part of his job, besides traveling to meet with their partners and to build relationships in other countries, is loading the containers. Plett is most proud of opening the doors to new locations. One example is Liberia. A volunteer named Othello was a refugee from Liberia 10-15 years prior. He kept saying how he wanted to help his old home. He introduced Plett to the pastor of a local Liberian church who in turn introduced him to Honorary Saah Joseph. 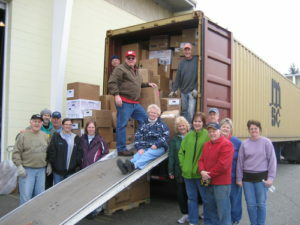 Joseph opened the door to send medical supplies to Liberia. They have sent eight containers to this war and disease torn country. The future for GMA lies in expansion, especially in Liberia and Ghana. In Morocco, they are starting to train the locals to do physical therapy for children, about agricultural development, and building houses out of materials they have on hand- like straw bale homes.